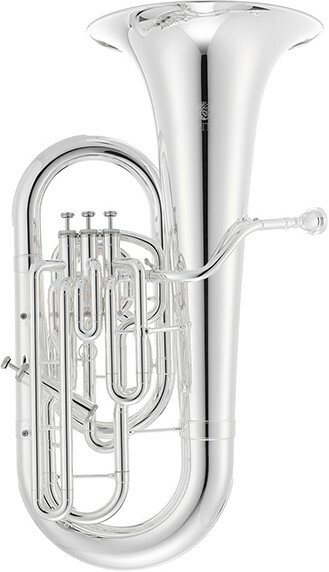 With it's big bore, big bell, and 4 front-piston valves, the innovative design of the Jupiter JTU1110 tuba is unique. The valve tubing is an open wrap, unlike anything seen before on the market. The 4 front-action piston valves have a moderate throw due to the good sized bore of the instrument. 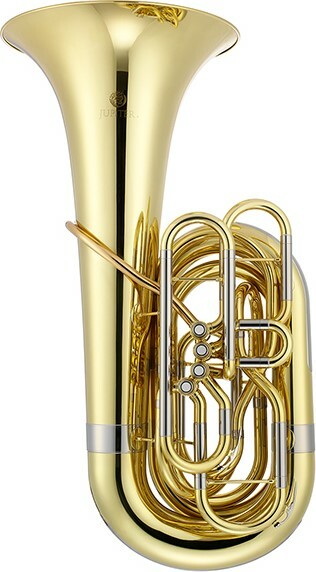 With it's big bore, big bell, and 4 front-piston valves, the innovative design of the Jupiter JTU1110S tuba is unique. The valve tubing is an open wrap, unlike anything seen before on the market. The 4 front-action piston valves have a moderate throw due to the good sized bore of the instrument. 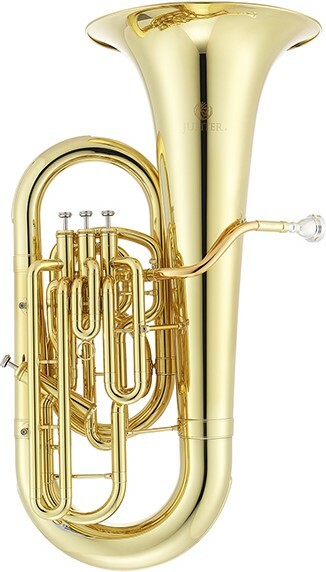 Jupiter JTU1140 4-Valve 3/4 BBb Tuba features a .661-inch bore plus four mechanical-link tapered rotary valves and removable Rose brass leadpipe. 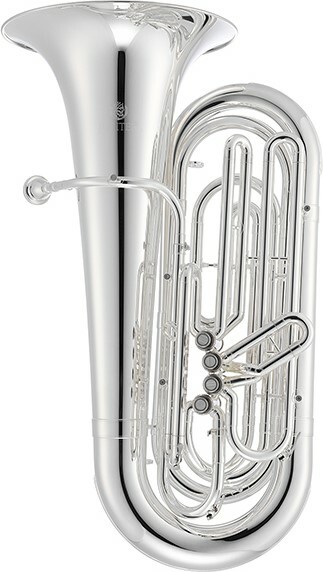 This tuba also features nickel silver outer slides and a removable valve section for easy maintenance and repair access. 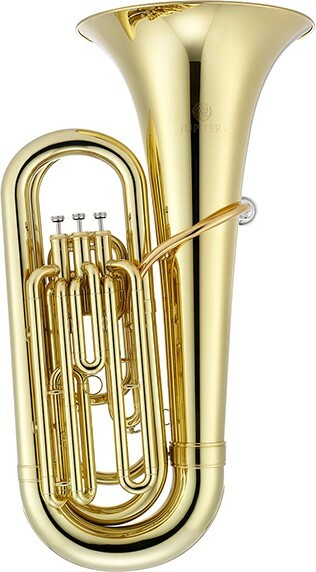 Jupiter JTU1140S 4-Valve 3/4 BBb Tuba features a .661-inch bore plus four mechanical-link tapered rotary valves and removable Rose brass leadpipe. 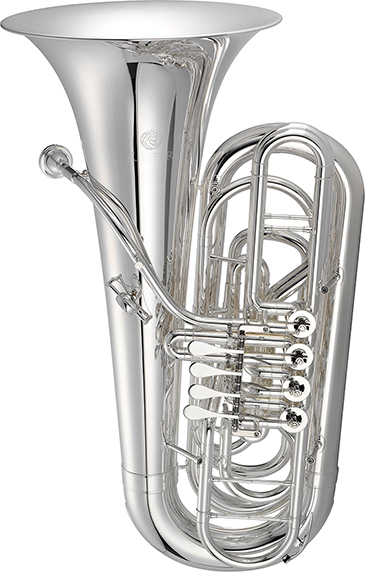 This tuba also features nickel silver outer slides and a removable valve section for easy maintenance and repair access. 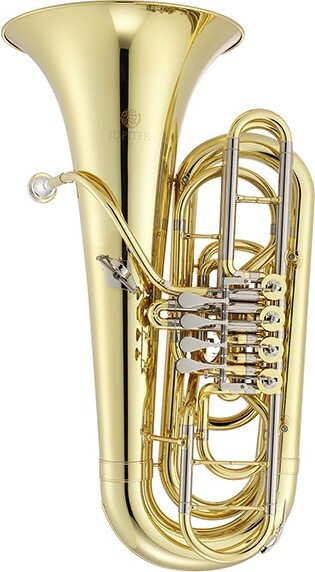 Jupiter JTU1150 4-Valve 3/4 CC Tuba features a .661-inch bore plus four mechanical-link tapered rotary valves and removable Rose brass leadpipe. 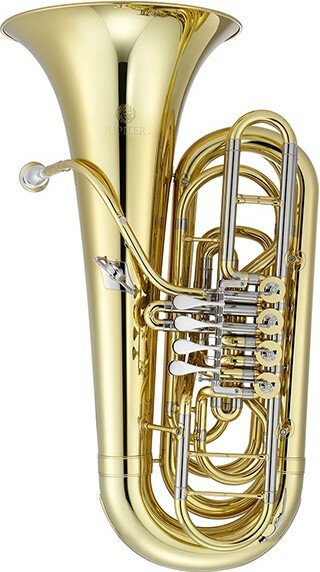 This tuba also features nickel silver outer slides and a removable valve section for easy maintenance and repair access. 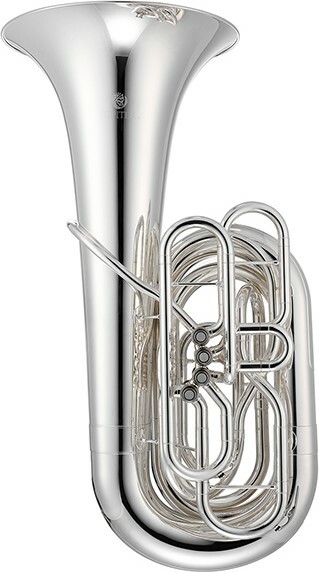 The Jupiter JTU1010 4 Valves BBb Tuba is a smaller version of the model JTU1110 Concert Tuba. It features a .709 inch bore with 4 front-action piston valves for comfort and smooth performance. The JTU1010 is the perfect choice for any level player looking for a smaller instrument. 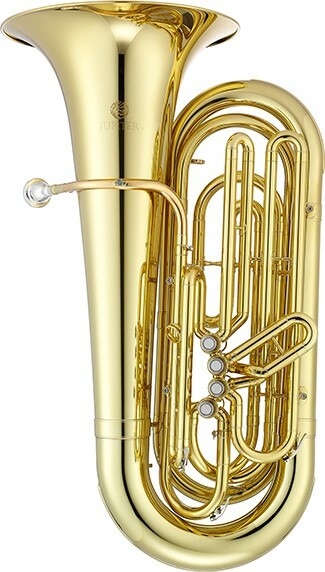 The Jupiter JTU1010S 4 Valve BBb Tuba is a smaller version of the model JTU1110 Concert Tuba. It features a .709 inch bore with 4 front-action piston valves for comfort and smooth performance. The JTU1010S is the perfect choice for any level player looking for a smaller instrument. The JTU1020 features a traditional 3+1 valve design with 3 top action valves and an angled left hand 4th valve. It also features stainless steel pistons and rose brass mouthpipe. 15" bell, 0.689" bore while 4th valve in 0.748" bore. The JTU700 features stainless steel pistons for easy action, plus a size which makes the sound easy to control for the beginning tuba player. It includes a detachable leadpipe, valve body and bell for easy repair. The tighter wrap and compact size still offers a wide dynamic range and rich tone.